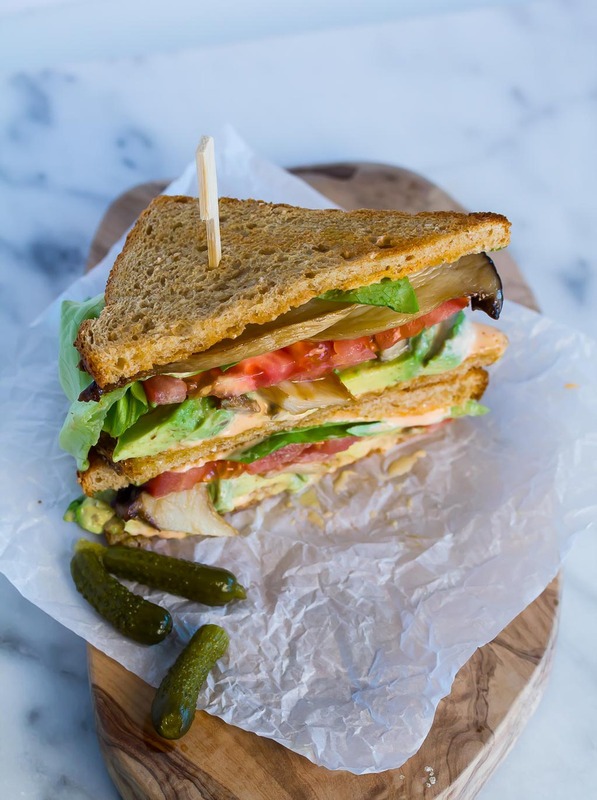 M.A.L.T is a vegan version of a classic sandwich-so simple but so delicious! Roasted mushrooms are one of my favorite foods. They give a meatiness to a wide variety of dishes and have a succulent, earthy flavor. I suggest you try different mushrooms until you find your favorite-each variety will have a unique character in this simple sandwich. And I think you’re going to love the spicy and slightly creamy sriracha aioli that goes on it! I’ve been eating it as a dipping sauce for sweet potato fries lately! In a small bowl, mix the mayo, sriracha and salt until smooth. Set aside. Slice the trumpet mushrooms lengthwise and toss in olive oil, salt and pepper. Place mushrooms on a sheet pan and place in the oven for about 10 minutes. Roast until tender. Remove from oven and set aside until ready to use. Take the toasted bread and spread some of the sriracha aioli onto each slice. 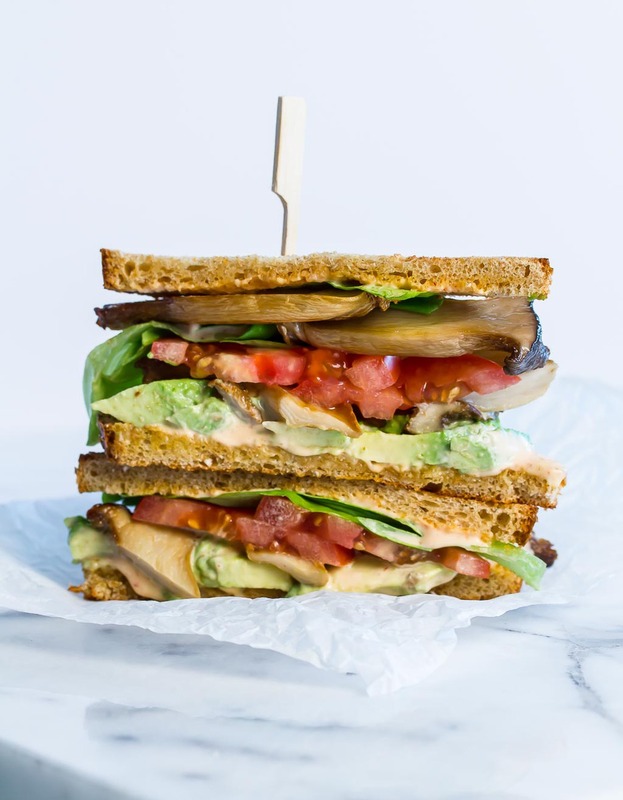 Arrange ½ the avocado and mushrooms onto one side of the bread. Top with 2-3 slices of the tomato, 2-3 pieces of lettuce, and 1 or 2 pickles. Put the final piece of bread on top to finish the sandwich. Cut in half and hold in place with sandwich picks if desired.